Natural components like Geranium flower and caffeine serve to enhance performance, while Spirulina serves as an appetite suppressant. Continually, ingredients such as Vitamin B6 and B5 help the body convert carbohydrates into energy. There are people who have tried everything—jogging, going to the gym regularly, following a strict diet—but can’t seem to keep weight off. Many of these people, leading busy lives but looking to maintain a healthy weight, turn to ACE. The first pill should be taken two hours after breakfast, while the second pill of the day should be taken in the early afternoon. Users should not take a pill after 4 PM. Make sure to consume at least eight glasses of water, (eight-ounce glass) since water is paramount to weight loss. If you find it hard to consume sufficient quantities of plain water, try adding lemon or flavorings. Lean meat consumption, such as fish or chicken, is encouraged. ACE diet pills should not be taken with other vitamins or medicine. What are the possible side effects of ACE diet pills? Phenethylamine can cause respiratory problems as well as high blood pressure. Pyridoxine can cause headaches, appetite loss, sleepiness, vomiting, and abdominal pains. Chromium, found in ACE, can cause severe headaches. Vanadium can cause diarrhea, nausea, high blood pressure, abdominal irritation, kidney problems and decreased blood sugar level. Opinions and experiences vary about the effectiveness of this weight loss pill. Some claim to have seen great results, while others experienced no weight loss at all. 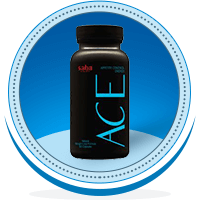 The main question, of course, is: “Can ACE really help me lose weight?” According to a number of users, ACE has proved effective and helped them get rid of extra pounds without experiencing any side effects; it’s important to take into consideration that not necessarily every user will find positive effects with ACE. Nevertheless, as a weight loss pill containing natural ingredients, and rated 3.5 out of 5, it may be worth a try if you’re looking for a weight loss supplement.